For some reason, this coin gained instant popularity both among numismatics and among people who like to own one gold coin or are trying to find a way to invest their money into gold. The American buffalo gold coin was first minted in 2006 and the proof coin was sold for $800. Each next year this price was higher. It was $899.95 in 2007, $1.410 in 2009, and $2.010 in 2011. Today, it’s settled at $1510. The coin is made of full 24 karat gold and weights exactly 1.0001 ounces. It is 1287 inches in diameter and 0.116 inches thick. On the front side the head of a native American Indian is minted and on the back side is the American buffalo. It was officially worth $50. However, other coins with different mass and size can also be bought for different prices. There are coins with smaller dimensions and mass for 5, 10, and 25 us dollars. You can even find these coins online. A lot of sites sell gold Buffalo coins among lots of other examples made of gold, silver, platinum, and other precious metals. 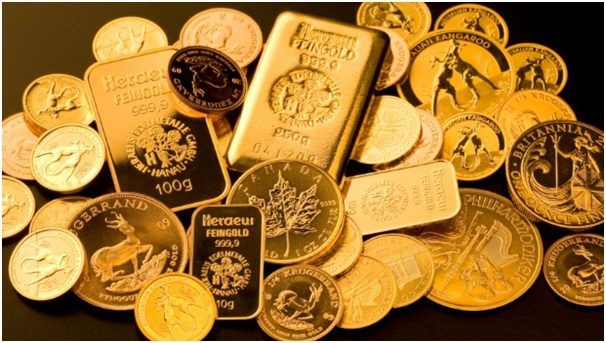 The gold coins are most wanted in the world of collecting. Not just because of the price and the value, but they simply have a special feeling when they are held in your hands. A lot of people love gold coins with historical fragments minted on them. That’s exactly why the United States Mint produced and is still producing a great amount of these gold coins. Back in 2006, 337.012 coins were made. The total amount of coins sold was 246.267 which is an impressive number. Since then, the number of coins minted was significantly lower, but the all-time lowest amount that was minted is 99.500 pieces. In 2018, 121.500 coins were produced so we can say that the fame of this gold coin is still on top. It is famous because of the size and the design, but also because of the amount of gold inserted. Professional gold dealers agree that this 24 karat coin is almost perfect. It is made of 99,99% gold which makes it both precious for collectors and for investors. People who are into numismatics were probably among the first ones to purchase one of these. Since then, however, the selling did not stop. A lot of people choose it because of its purity and decide to buy it as a form of investment. We all know that the price of gold is never dropping and is always on a high level, so it’s something that makes people feel safe about their money. Is buying one a smart move? Of course, you can’t go wrong with buying gold. All you have to do is keep it in a place where eventual burglars won’t get their hands on. Gold is safe from all natural disasters. It doesn’t oxidize, and fire can do no harm to it, so it’s the perfect way to protect your money. See more about why gold is the best choice here. Also, if you live in a third world country or you think that the world is about to be shaken by some serious situations like wars, then you can’t be sure which currency is the best to turn your money into. The US dollar has proven to be dangerous for investing in it. Even today, the US dollar is still weaker than the Euro. This actually means nothing. Series of events can turn the picture upside down and make the Euro less worthy. This can never happen to gold. It doesn’t matter what’s minted on the coin – gold is gold. If you get in trouble and you need money right away you can sell it and solve the problems. That’ why people buy the American Buffalo so much because it’s a sure way to go into the future knowing that you’ll always have enough to support your family.